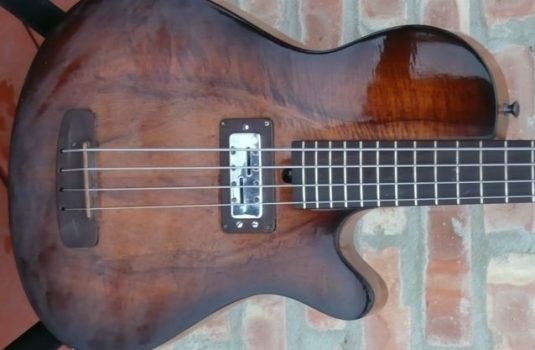 This is a rare made-in-China / Korea / Indonesia bass guitar. I think. 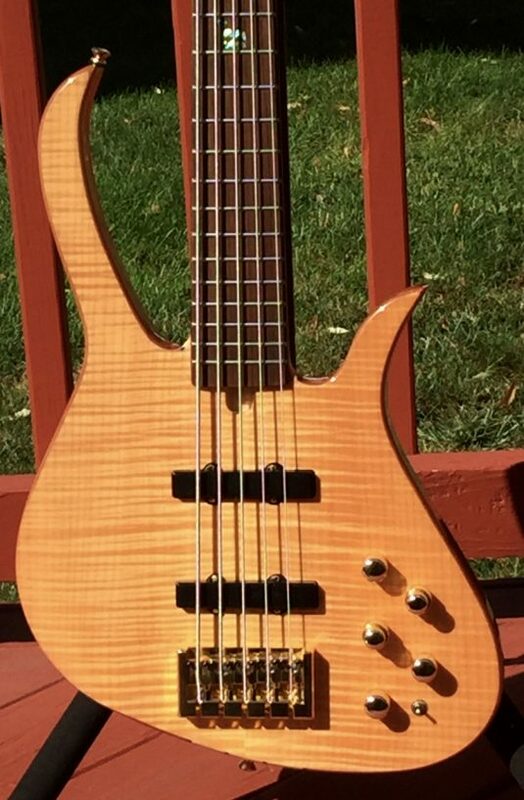 I bought the bass from the original owner, who told me he purchased the bass new at the US Masters shop in Wisconsin, around 2006. 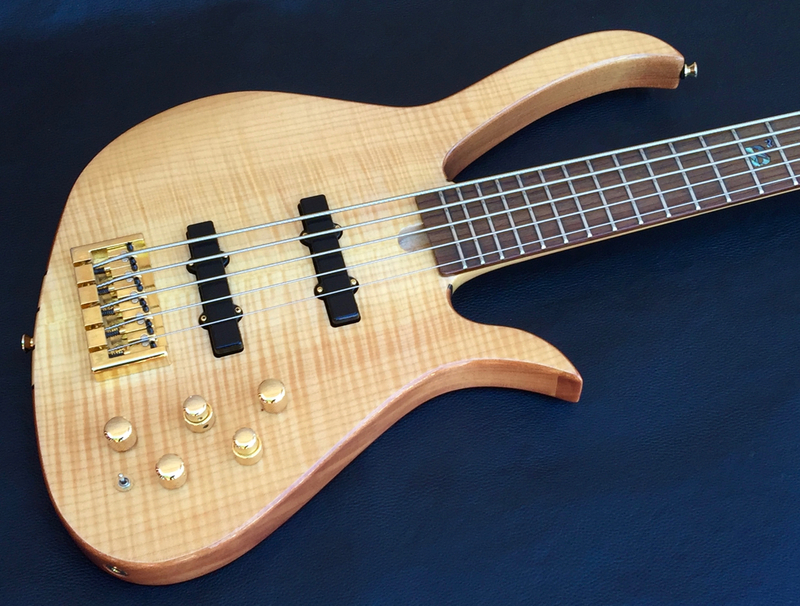 US Masters was a company that for several years made guitars and basses in relatively small numbers best I can tell. Was it a small small shop ? A small factory ? 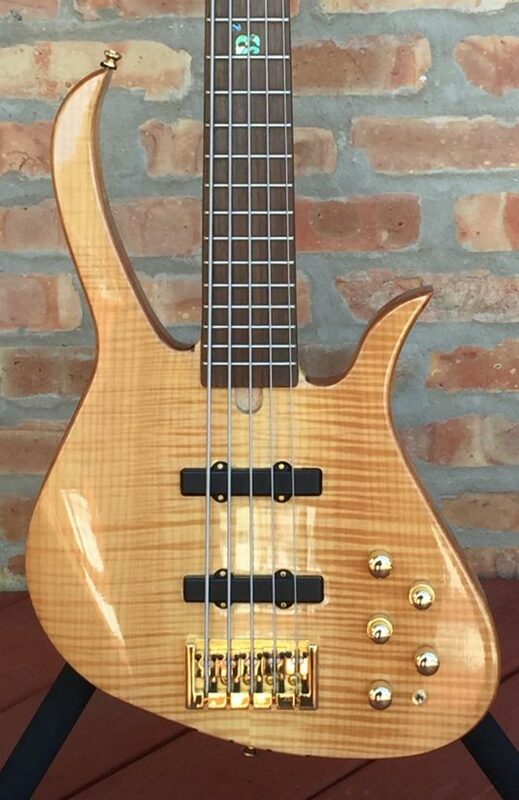 Was this bass made here ? There is no “made in” attribution, no serial number. 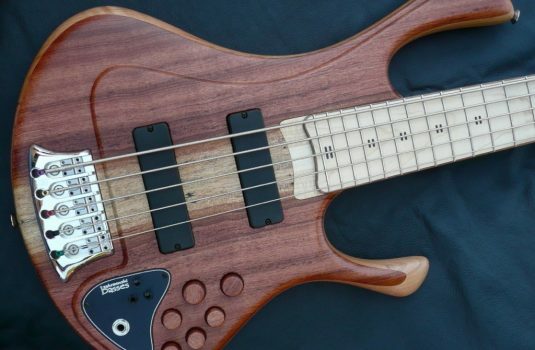 Maybe a prototype of an import series contemplated by US Masters and Brian Bromberg ? 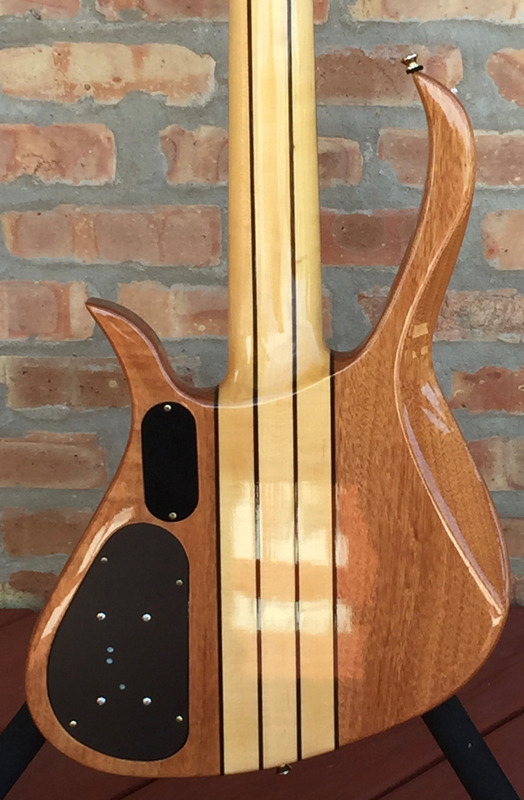 I can count 5 different variations of this bass’ design, beginning at the beginning with luthier Bob Mick, who created a numbers of customs for Brian B. I am not sure who is responsible for this body shape, whcih I have always liked. 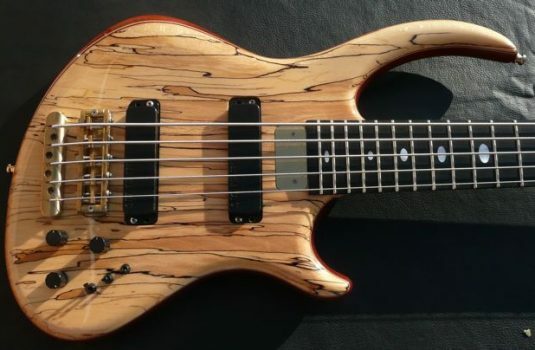 Add to these Dean and the current version by Carvin. I think there was one other – any help out there ? 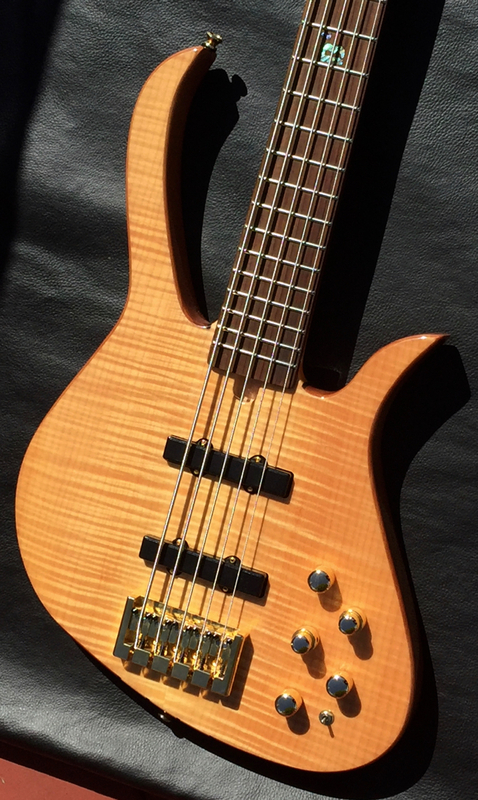 The neck on this bass is certainly chunkier than that of the super sleek Peavey B Quad. 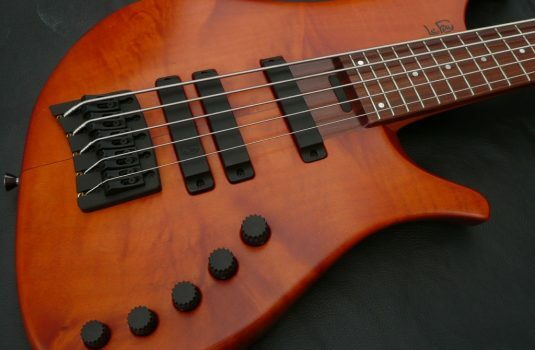 Still, the bass plays well and sounds very good. It is a very versatile electronics package.